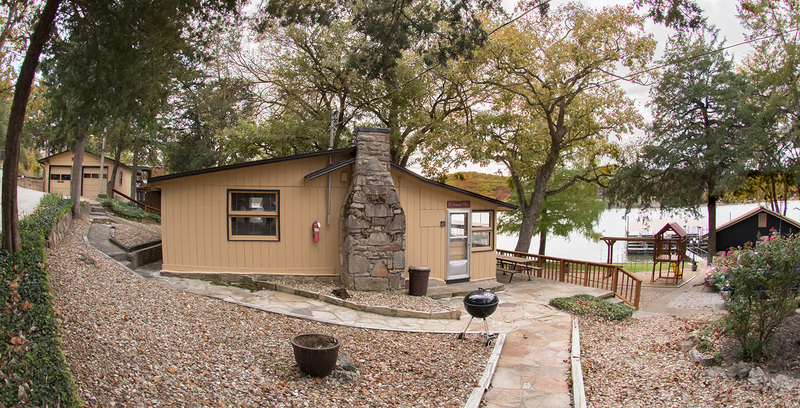 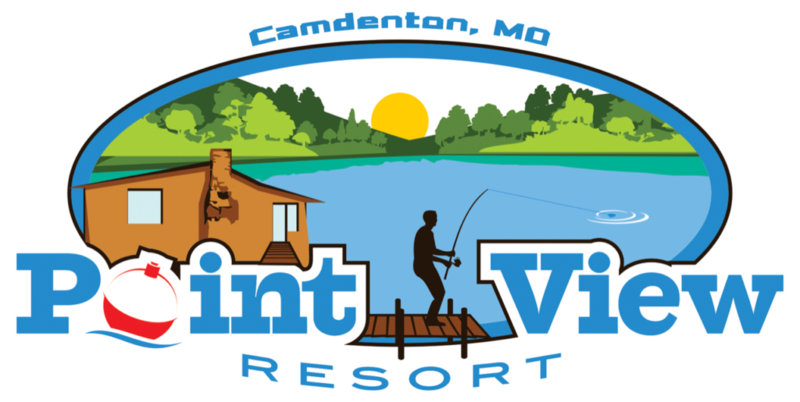 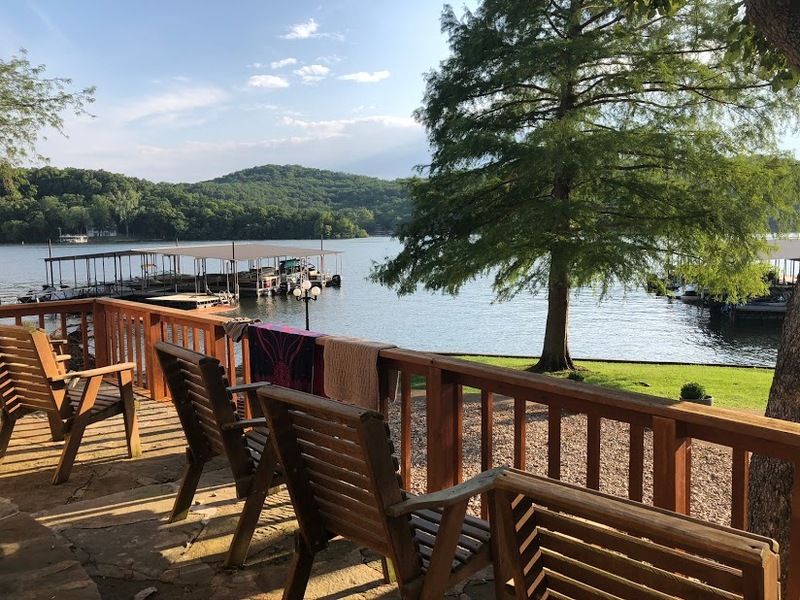 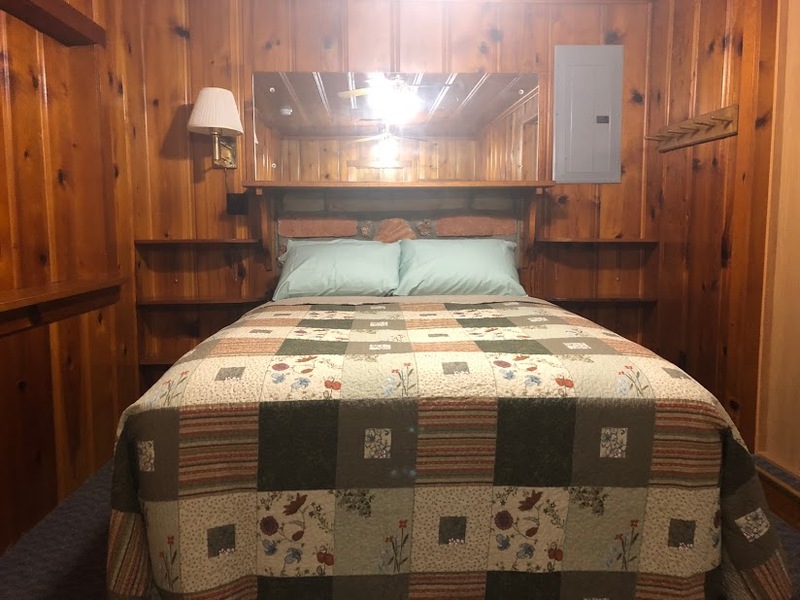 Our three-bedroom Lodge is located on flat land, just back from the boating and fishing docks. 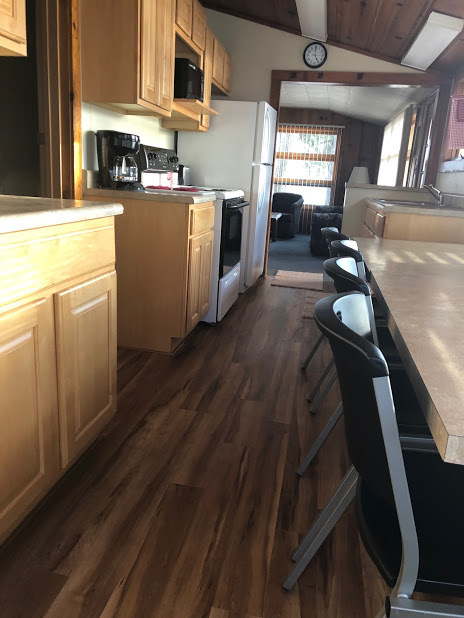 Clean and spacious, this lodge is perfect for large families or groups of friends traveling together. 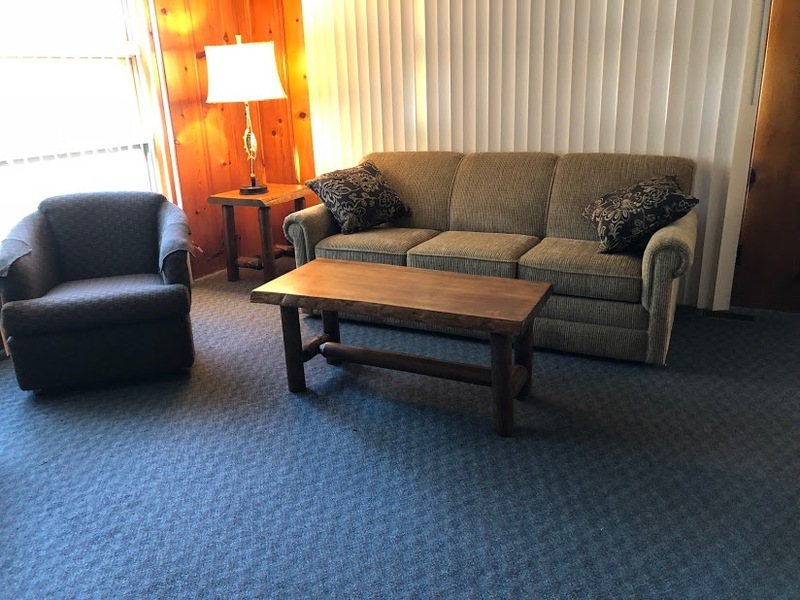 The spacious living area is beautifully decorated with solid pine paneling, and boasts two sleeper sofas and additional side chairs for maximum seating. 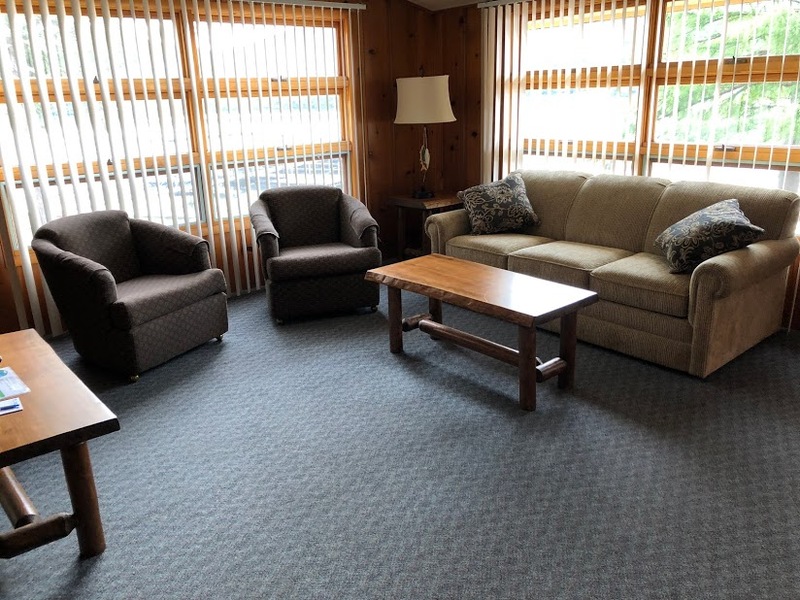 The building has its own deck and ample outdoor seating, and easy access to all amenities. 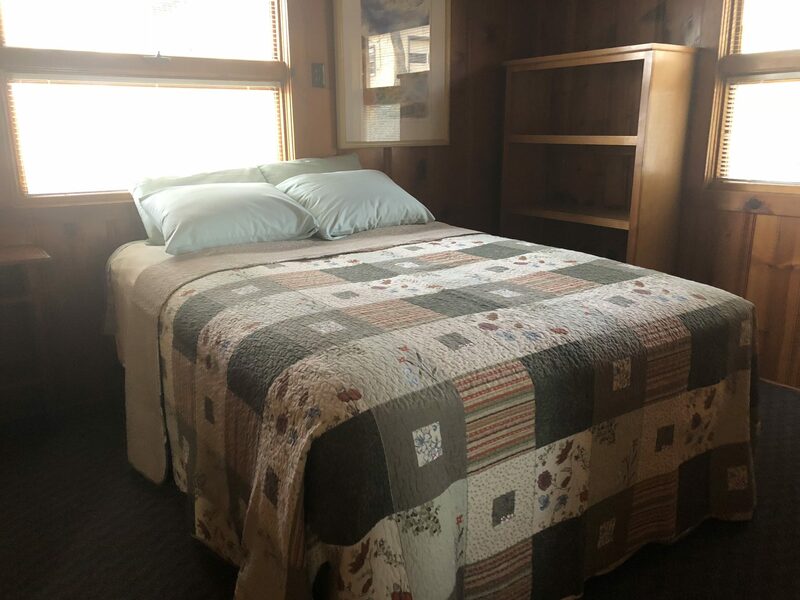 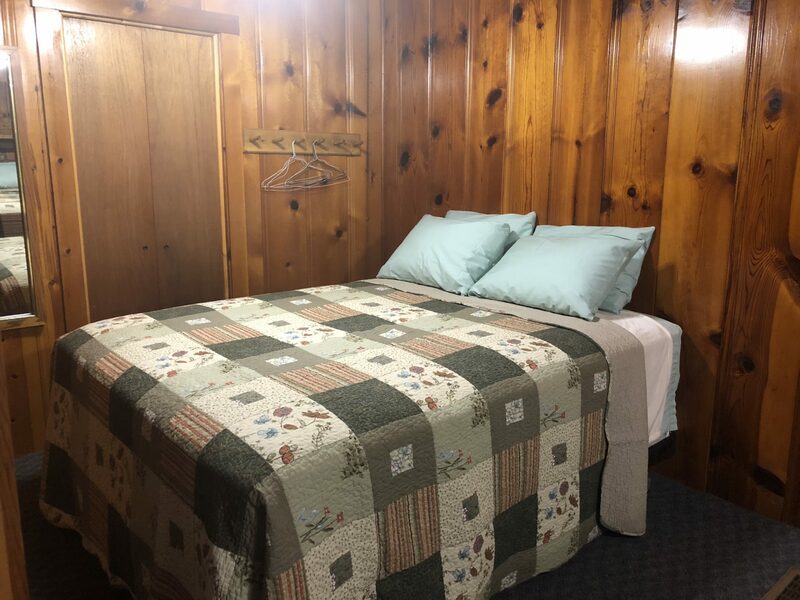 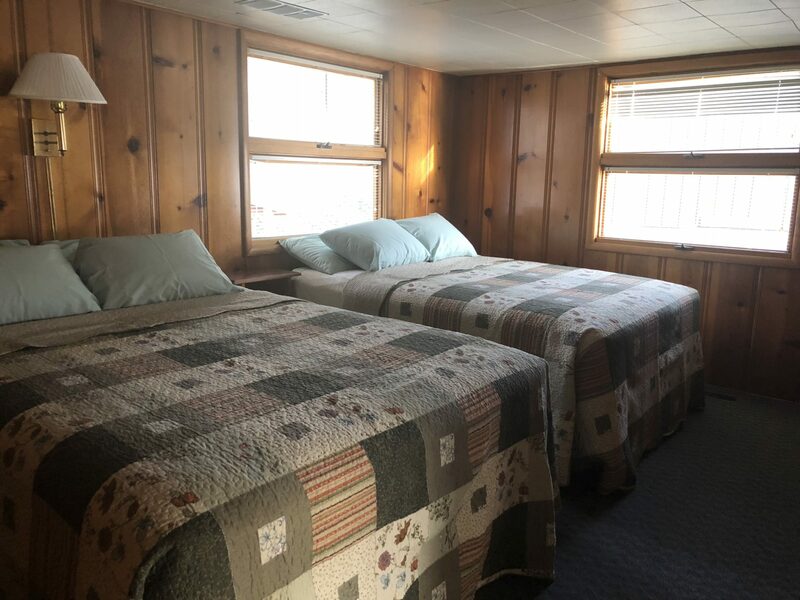 Nearly 1200 square feet, the lodge is perfect for your large group.